gfjones68 has no other items for sale. 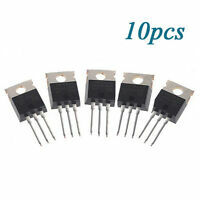 (10 PCS) 1N4007 Diode - 1000V 1A Power Rectifier - High Quality USA Seller!!! Sales tax may apply when shipping to: AZ*(8.8%), CA*(8.25%), FL*(7.0%), GA*(8.9%), IL*(8.5%), IN*(7.0%), IA*, MI*(6.0%), MN*, NV(8.25%), TN*(9.75%), TX*(8.25%), VA*(5.3%), WA*, WI*(5.5%). Does the job.....buy them in bulk. Cost a little extra but you can never have too many! 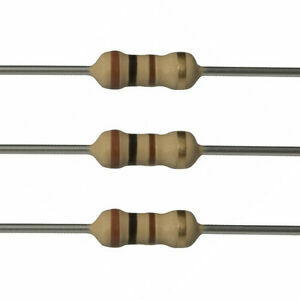 Not much to the resistors they are with-in tolerances and work well.